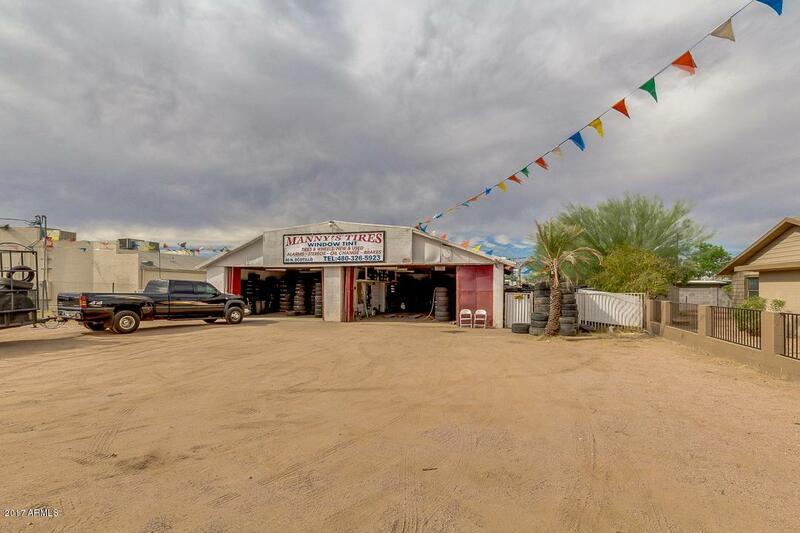 Come and see this amazing commercial/residence property now for sale in Apache Junction! The building includes a two Bay shop with bay doors and a restroom for that close to home business. Plus a charming 3 bed, 1 bath home is sold in conjunction. Home features desert landscaping, 2 carport parking spaces, a cozy Arizona room, and neutral paint throughout. The elegant kitchen offers ample cabinet and granite counter space, a pantry, tile backsplash, matching appliances, and a breakfast bar. The expansive backyard boasts a large paved seating areas as well as a convenient storage sheds. You can't let this incredible business opportunity slip by! Schedule a showing today!